Marjo Mitsutomi is Professor and Executive Director of the Language Education Institute (LEI) at Osaka Gakuin University, Japan. Prior to her current position at OGU, she was academic director of three language acquisition programs at Akita International University, Japan. Her most notable contribution as a linguist was as co-author of the International Civil Aviation Organization (ICAO) aviation English proficiency standards for pilots and air traffic controllers worldwide. This ICAO proficiency standard (adopted by vote at the United Nations) governing both native and non-native speakers of English is the first global language mandate of its kind. 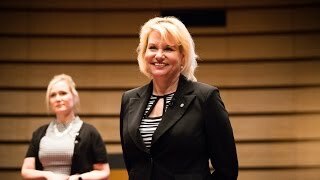 Minna Kirjavainen is an associate Professor at the Language Education Institute at Osaka Gakuin University. She received her undergraduate degree in English Language from the University of Sussex, UK in 2004 and was awarded a PhD in Psychology (Language Acquisition) at the University of Manchester, UK in 2008. Her research focuses on the acquisition of complex syntax and morphology in monolingual English- and Finnish-speaking children, which she studies by using corpus and experimental methods. She has worked on several research projects and has collected the largest Finnish child’s language dataset to date in collaboration with the Max Planck Institute for Evolutionary Anthropology. Prof. Mitsutomi and Dr. Kirjavainen co-presented at the IAFOR Asian Conference on Language Learning 2014 (ACLL2014) in Osaka, Japan. For more information about the ACLL conference, please visit www.acll.iafor.org. Their Featured Presentation looks at the process of first and second language acquisition and introduces some of their latest findings in the course of doing their research. Language acquisition is a process that has recently been described as “chaotic.” Many factors contribute to the learners’ ultimate level of language mastery, and no single theory can exhaustively explain the processes in the learners’ brain. Not only second language learners but also native speakers show clear differences in their ability to express themselves and produce meaning in written and spoken form.